Eastern European Cooking and recipes for World Studies International recipes. 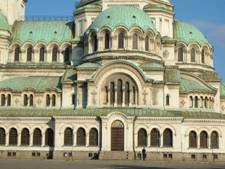 Eastern European cooking involves some of the following countries: Belarus, Serbia, Bulgaria, Czech Republic, Hungary, Moldova, Poland, Romania, Slovakia, Slovenia, Estonia, Latvia, Lithuania and Ukraine. Many of these countries are covered with rows of beautiful sunflowers in the summertime, ancient architecture, world history and beautiful mountains. In the summertime youll find fruit and vegetables are plentiful, cheap and deliciously fresh. Eastern European cooking uses a lot of cabbage, potatoes, onions and carrots. They are cheap and can be stored through the winter. 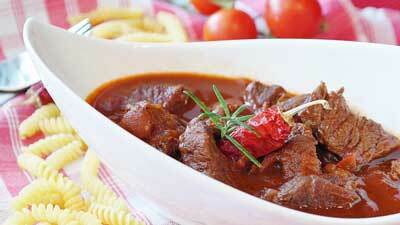 This is a common Eastern European cooking recipe and takes a little preparation. Wrap two beets in foil and roast at 400 degrees for 1 hour until a fork pierces the skin. Cool, peel, and shred or chop in food processor. Chop potatoes in cubes, slice carrots, chop cabbage, and chop onion. Place all vegetables in large pot. Add cooked meat and beets to pot. Cover with water and cook on medium to low for one hour. Add bouillon, tomato juice and pepper. Taste to see if it needs anymore seasonings. Sprinkle with fresh parsley or dried parsley if fresh isnt available. **You can also add beans to the soup. Use fresh beans instead of canned. Soak beans overnight then cook them covered with water. Add a bay leaf and a quartered onion to the water. Cook 1 hour or until soft on medium heat. Drain water off and add to soup. Cut around core of cabbage. 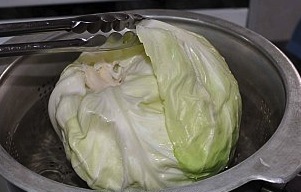 Prepare cabbage leaves by boiling head of cabbage several minutes. Remove leaves as they fall off and continue to soften leaves until most are removed. In blender or food processor, puree carrots, 1 onion, 1/2 cup cabbage and 1/2 cup tomato sauce. Pour into a mixing bowl and add 2 lbs. hamburger, uncooked. Add in 1-2 cups cooked rice. Combine all together. 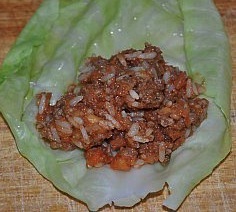 Place meat mixture on a cabbage leaf and roll up. 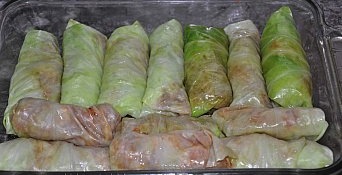 Place each cabbage roll in casserole dish. Add bay leaf and tomato juice or more tomato sauce. Cover with extra cabbage leaves. Cook 350 degrees covered with tin foil and bake about 1 hour. Top with sour cream, if desired. You can use this same meat and rice mixture to stuff zucchini or peppers. 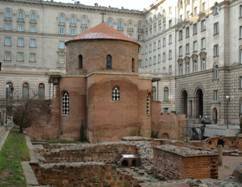 A popular Eastern European cooking recipe in Bulgaria. In a skillet ground beef and onion together until beef is no longer pink. Drain meat and add chopped potatoes, chopped tomatoes and parsley. Salt and pepper to taste. Bake 1 hour at 350 degrees. In bowl, blend eggs, plain yogurt, and flour together. Pour over potato mixture. Bake for 10 minutes longer. Toss steak and flour together in small bowl. Add steak, chopped onions and garlic in crock pot. Add seasonings including salt, pepper, paprika, thyme and bay leaf to crock pot. Add in chopped tomatoes. Stir together and cook on low 8-10 hours. Stir sour cream in soup before serving. Serve over noodles. Brown chicken and onions in oil. Add paprika and broth to pan and simmer 20 min. Stir in sour cream and continue cooking another 5 minutes. Season with salt and pepper to taste and spoon over noodles. 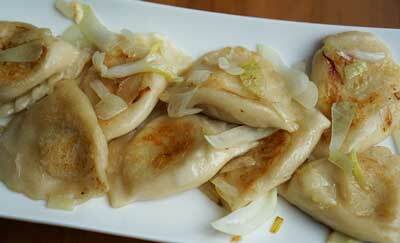 This is typically a Polish dish but you often find Pierogi in Russia and throughout Eastern European cooking. You can create these with whatever filling you choose. Try cooked ground beef or pork, cheese and potatoes, cabbage or fruit fillings. They are similar to a stuffed dumpling. In a mixer add flour, eggs, sour cream and salt together. Mix together to form a ball of dough. Take out of mixing bowl and knead on a floured surface 5-10 minutes. Let rest for 30 minutes wrapped in plastic wrap. Roll dough out and cut circles out of the dough by using the bottom of a glass or biscuit cutter. Filling for Potato Cheese pierogi. Saute onion in butter. 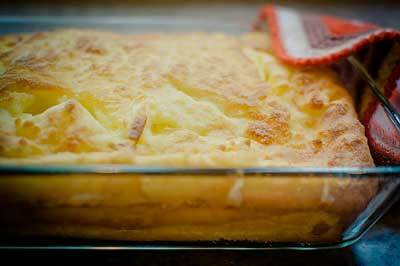 Mix mashed potatoes, cottage cheese, sauteed onion, egg yolk, sugar and season with salt and pepper. To assemble pierogi place a spoonful of filling on each circle dough and moisten ends with water. Seal together by pressing with your finger or using the back of a fork. To cook, Bring a large pot of water to boil. Add salt to water. Add pierogis and cook about 5 minutes. (they will float to the top of the pot). You can fry these with chopped ham and butter. 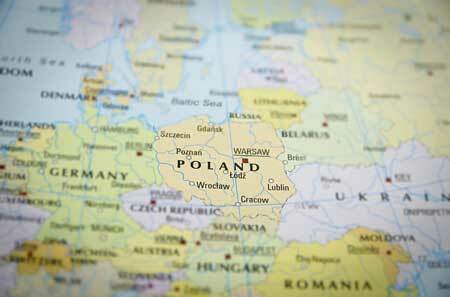 Or serve this Eastern European cooking recipe with sour cream or drizzle with melted butter. 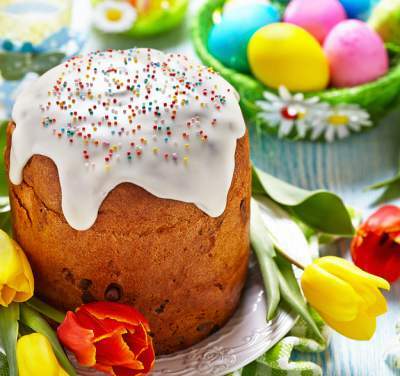 Try a traditional Eastern European Easter Bread recipe. 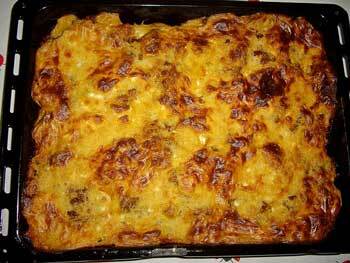 This is a Romanian dish also seen in other Eastern European cooking. This is also known as polenta and resembles a cornmeal mush. Mix cornmeal, salt and cold water together. Set aside. Add 4 cups of water to a large pan and bring to a boil. Add cornmeal mixture to boiling water. Continue stirring until thickens. Cover pan with a lid and turn heat down to low. Cook about 30 minutes. Stir occasionally. Stir in butter and sour cream. Place in a casserole dish and bake for 1 hour at 350 degrees. 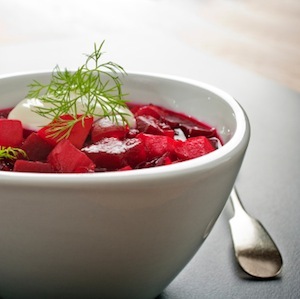 Top with cottage cheese or sour cream, if desired.